You might be one of those individuals who would ask “do you peel sweet potatoes’. Well, some might really enjoy the starchy and sweet taste of these types of potatoes however in some cases you might not want the hard texture that the skin offers. With that, you might want to peel them instead. Considered to be quite versatile, sweet potatoes could either be mashed in order to make bread or simply add them to some savory dishes. And also, they are loaded with antioxidants and vitamins. In fact, even the skin of sweet potatoes is rich in fiber. With that, you might doubt if there’s really a need for you to peel sweet potatoes. How to Peel Sweet Potatoes? First, let us have an idea about what sweet potatoes are. Sweet potatoes come from the morning glory family and there are numbers of varieties to consider. Known to have different colors of the skin, the flesh also comes in different colors. In addition, sweet potatoes are referred to have an elongated shape and tapered ends too. When it comes to the kinds of these vegetables, the two major ones are the firm and soft sweet potatoes. These firm sweet potatoes offer a golden skin and paper flesh. On the other hand, the soft ones have copper skin as well as orange flesh. They cook in a different way because the firm option remains to be a bit waxy while the soft option might become creamy, fluffy and moist. The answer to the question “do you peel sweet potatoes” depends on the types of sweet potatoes that you have. There are sweet potatoes that you should peel but there are also options that you shouldn’t. You might not be aware but most of the healing potentials of these sweet potatoes definitely lie on their skin. In fact, sweet potatoes are considered as a great source of dietary fiber once consumed without peeling. One unpeeled sweet potato would have more fiber compared to a bowl of an oatmeal. Organic Sweet Potatoes. 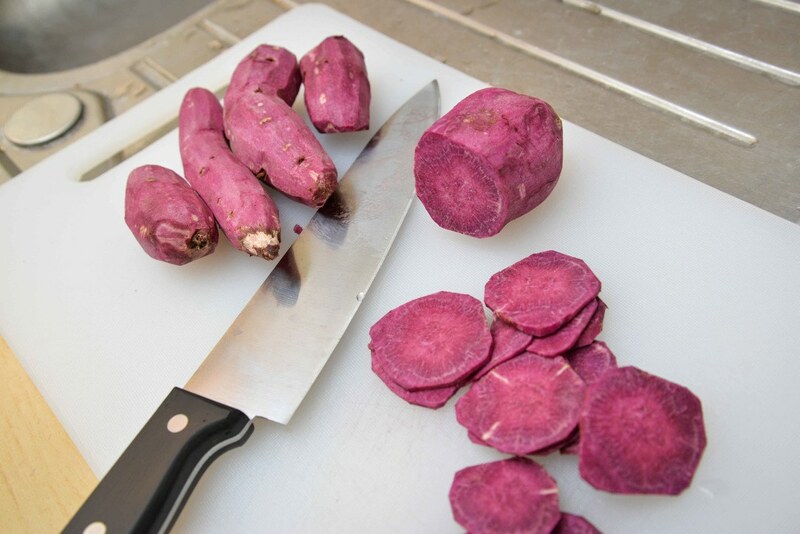 Once you have organically grown sweet potatoes, it would be fine that you don’t peel them. Just leave the skin once cooking. These types of sweet potatoes are not treated with harmful pesticides which might put your health at risk. Smooth and Small Sweet Potatoes. If sweet potatoes are small and smooth, you might consider leaving the skin and not peeling them at all. These sweet potatoes are considered as the new potatoes of the season so it might be healthier if you eat them with the skin. Once the skin comes off by themselves as you wash the sweet potatoes, this is a sign that they are fresh from the current season. Sweet Potatoes for Roasting. And once you plan to roast some of your sweet potatoes, it is a practical solution to leave the skin intact. This might help in protecting the flesh from the high heat of the grill. And others might also prefer a crunchier texture of the skin once roasting sweet potatoes. These are the types of sweet potatoes that you shouldn’t peel knowing that there are important reasons behind. And health benefits from the skin of these types might also be experienced. But, what are these health benefits? Well, let’s continue reading. Indeed, the skin of sweet potatoes is known to be high in fiber. If you serve a sweet potato baked in the skin, it will offer a lot more of fiber than a serving of oatmeal. And fiber has numbers of possible health benefits such as normalizing bowel movements, regulating blood sugar and lowering cholesterol. If sweet potatoes are baked along with the skin, there is an assurance of beta carotene. In fact, even a medium one could offer four times of the recommended value of beta carotene daily. This is an antioxidant which is converted to Vitamin A in the body. And the health benefits that Vitamin A offer is that it helps in terms of improving eyesight and preventing or treating some eye conditions. This vitamin also strengthens the immune system and also help in treating or preventing cancer. 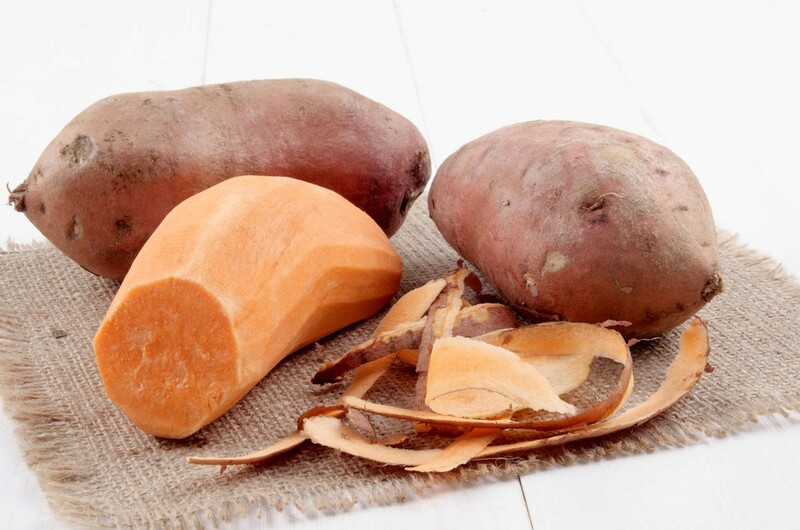 Skin of sweet potatoes is a great source of potassium and iron. This could be great especially to those that are not eating meat since the iron found in the skin is considered as an important nutrient. Both Vitamin C and Vitamin E are considered as antioxidants which might protect against certain diseases through improving the immune system. So, you want to reap these benefits? 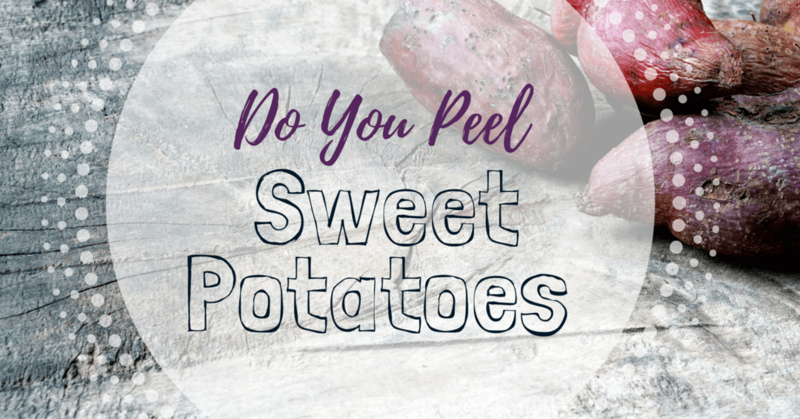 If yes, then leave the skin of sweet potatoes unpeeled and forget about asking “do you peel sweet potatoes” at all. And now, if there are sweet potatoes that shouldn’t be peeled, there are also ones that must be peeled. There is a fact that you will surely love the flesh of sweet potatoes which has a scrumptious sweet taste. In most cases, they do have orange color however others are found to have other colors like violet, white and red. As discussed above, sweet potatoes are a great source of Vitamin A, beta-carotene and Vitamin C.
Conventionally Grown Sweet Potatoes. 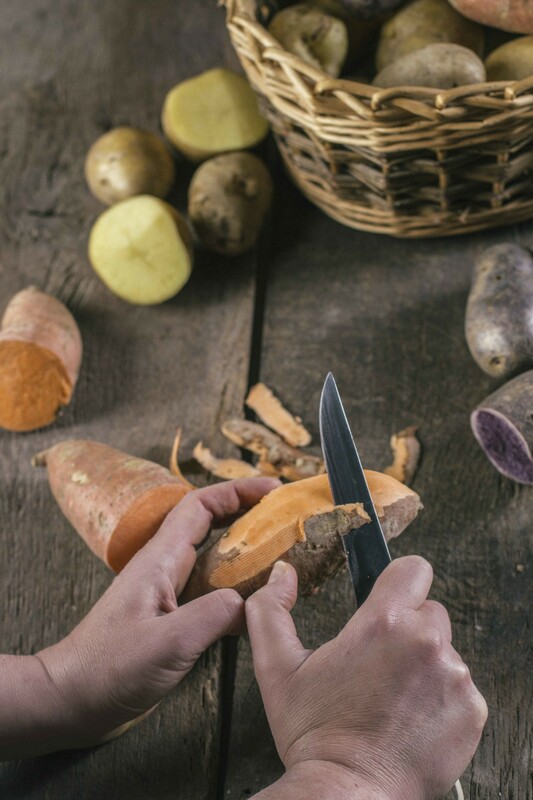 Once you have sweet potatoes that aren’t organically grown, it might be a lot safer if you are to peel the skin away. You might not have any idea but sweet potatoes might be treated with pesticides. So, in order to protect the health of the family, peeling the skin is the best move to consider. Blemished and Dirty Sweet Potatoes. If you happen to buy some sweet potatoes which are covered in blemishes and dirt, it is also a lot safer that you peel them. Though the skin of these sweet potatoes contains high fiber, it might bring harm if you eat them with dirt. Sweet Potatoes for Stews, Soups and Savory Dishes. Once you like a smoother texture to the dishes, remove the skin. 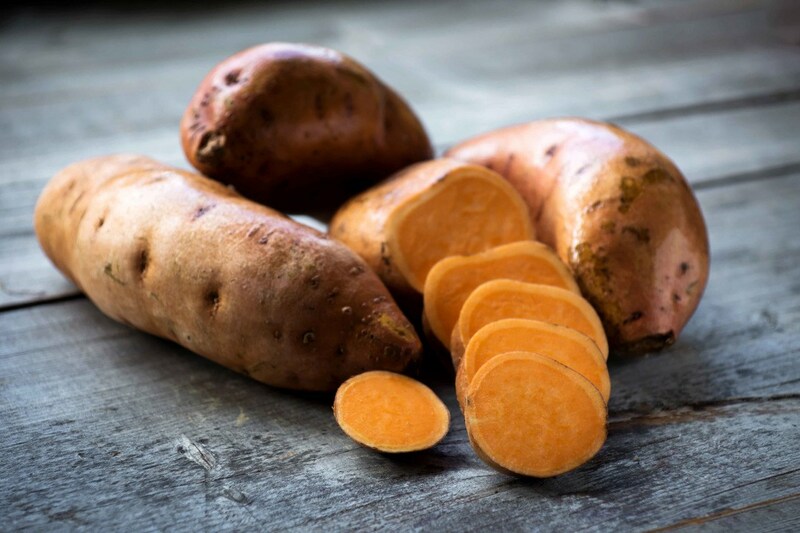 Though it could be fine that you leave the skin since sweet potatoes are already cleaned and free from any blemishes too, it is still best that you peel them once planning to add to stews, soups, and other savory dishes. Sweet Potatoes for Mashing. Planning to create some mashed sweet potatoes? If yes, you have to peel the skin to make it a lot tastier. You might remove the skin since they are rough and they might not mash properly as well. So, these are the types of sweet potatoes that you should consider peeling. Indeed, peeling sweet potatoes might be a matter of personal preference. Again, sweet potatoes are considered as starchy root vegetables which have a sweet taste as well as a smooth interior texture. With that, if you plan to peel and also cube them in preparation for a larger dish or meal, there are important things to consider. 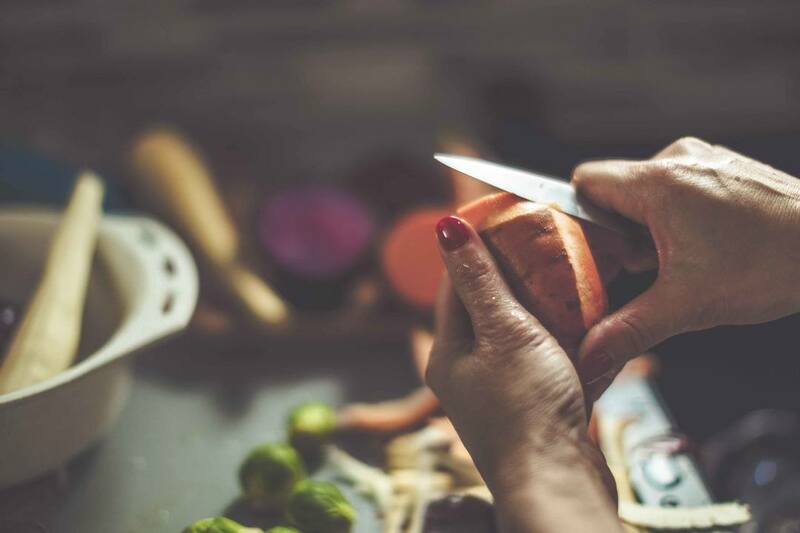 Prior to peeling and also cubing the sweet potatoes, you might need different cooking utensils and many of these sweet potatoes. Wash the sweet potatoes with water and if you find some grime and dirt, you might consider using a brush to scrub them away. Now, get a sweet potato and also a peeler. Then push the blade firmly to the exterior of the sweet potato. You have to remove the outer layer of skin up until there is no skin left. And finally, use your knife of choice to cut to desired pieces. So easy, right? You can also watch this for some tips as you peel sweet potatoes. Indeed, peeling sweet potatoes might be considered as a matter of choice. For those who want to get the nutritional value that the skin of sweet potatoes could provide then leaving them unpeeled can be considered. On the other hand, if you don’t want the texture of its skin in your favorite dishes then peeling them is an option to consider. So, do you peel sweet potatoes? The answer lies on your personal choice. You have the freedom whether to peel them or not. Just post your comments below if you have something to share with us. Hit like and share this article too if you find it helpful. Happy reading! Read More: How to Steam Potatoes?